Spring is almost here and it's time to get outdoors. 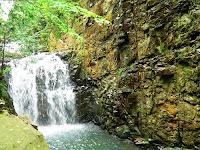 State parks, national parks, natural areas, and more offer an abundance of hiking trails, camping spots, and other outdoor recreational opportunities. However, the only way these outdoor destinations can continue to provide us with that escape from society and/or technology requires more than what the employees (park rangers, maintenance crews, etc.) can handle. That's where we, the outdoor lovers come in. We enjoy these places. Otherwise we wouldn't be out there. It's time to give back though. There are plenty of opportunities to pay it forward, to show our appreciation, to show that we care and want to continue to enjoy our natural environments. This year we've already mentioned the volunteer opportunities available at Frozen Head State Park in Wartburg, TN. Now we have another opportunity to list, and this one is just as near and dear to our hearts as Frozen Head. 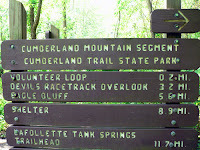 The Cumberland Trail Conference (CTC) is need of volunteers. Remember that grant survey from the CTC that we posted last week? Well they are ready to get the project rolling and have several dates in the books for the New River segment projects. 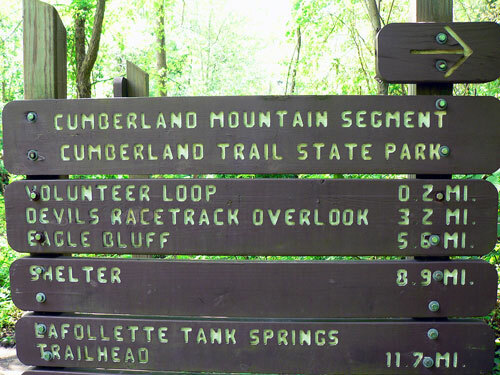 In addition to these projects, they also have a few trail maintenance projects for the Obed segment, a different portion of the New River Segment, and the Tennessee River Gorge segment of the trail. So hop on over to the CTC's volunteer page, see what's on the schedule, and sign up to be a volunteer. They will be glad you did, and we would be too. I'm hoping that we can make it out to lend a helping hand on some of the weekends myself.